Just an assumption based on Canon having several relevant patents, although Sony might have got round them in some way but I think it would be tricky as it's a simple theory. No great insight. As I pointed out, it's just a matter of how quickly the sensor can be reset. Presumably, Canon can't patent the reset speed itself, just a particular way of accomplishing it. If Sony has accomplished the same by some other means, they wouldn't have to license it. I am not even sure Canon was first in using an electronic first curtain (in cameras with a mechanical shutter). Do you have any information about this? 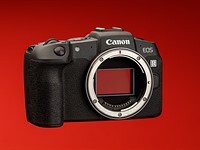 I just remember reading about the fact that recent Canons and recent NEX models both have it.